Happy Trick or Treat Day! For years, I’ve told my kids, my clients, and myself that life does not move in a straight line. There are going to be ups and there are going to be downs and some of them are going to happen when you least expect it. Life is what happens when you are making other plans. And please God, can we get this election over with? This is from Britain, where they have their own issues to solve. But with globalization firmly entrenched, what happens there will happen here. So, when will the crash begin? When will the huge sell-off – in both shares and bonds – convulse world markets, obliterating trillions of dollars within weeks and triggering a domino-effect collapse of banks, other financial institutions, pension funds and even governments? There is certainly a growing chorus of voices claiming the inevitability of this Armageddon. Many think it is nigh. You know their argument: a tsunami of money has swept through the markets in pursuit of returns. But, in a world where returns have been crushed by years of central bank intervention, the outcome has been to rocket-propel the prices of everything from government bonds to property and shares. We’re at a point where valuations of swathes of the stock market here and elsewhere are frighteningly high in comparison with long-term average measures. The price of government bonds issued by Britain, Germany and the United States may have fallen in recent weeks, but their yields remain as negligible as a few months ago. Sky-high valuations are in themselves worrying enough, but they come at a time when the economic outlook is uncertain at best. The ability of many British companies to maintain dividends – arguably one of the main reasons for driving their share prices to such heights – has rarely been less secure. So it is quite natural to give time to those who cry doom. “The crisis will move too fast for policymakers and investors. 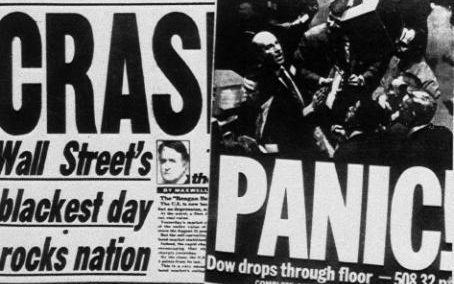 Stock investors will tell themselves they will get out, but when a real panic starts, it’s too late. I get the argument, but I for one will not sell any of my share-based investments in my Isa and pension on the strength of it. Here are three reasons why. 1. When would I buy again? Say I heed Mr Bonner and sell. Sitting in my broker accounts is then a pile of cash, earning nothing, and waiting for … what? The graph below tells a familiar story but one worth revisiting. The danger of not being in the market is that you miss those significant, but sometimes brief, bounces. Big market movements take place in short periods. Algorithmic models have been developed to detect rising volatility as signals to get in or out at the perfect moment, but these are doubtful. The reality is that no one knows when the big up (or down) days will arrive. What we do know for certain is that not participating at all can be costly. The FTSE All Share still yields 3.5pc, a huge number, given that some government bonds yield less than nothing. While share prices as multiples of earnings (p/e ratios) may have shot up alarmingly in some sectors, that’s not the case across the whole market. Our big dividend payers – such as oil and pharmaceuticals – suffered earlier this year because of doubts about their ability to pay dividends. They’ve mostly reiterated their dividend commitments since, yet still don’t trade on the scariest multiples. Company boards can, of course, be committed to dividends yet still unable to deliver: but markets and commentators are notorious for predicting recessions and other disasters that do not materialise. Most investors, like me, own in the end tiny stakes in multiple companies, many of which are healthy, growing enterprises whose operations won’t screech to a halt just because share prices bomb. As veteran investor Terry Smith writes, why else invest?